Dr. Alan R. DeAngelo has the experience, training, and tools to completely restore debilitated oral health. He has been transforming patients' smiles and lives with comprehensive restorative dentistry since 1982. If you suffer from oral pain, the inability to chew foods properly, or embarrassment over the condition of your smile, schedule a full-mouth rehabilitation consultation with Homer Glen dentist Dr. DeAngelo. What Can Full-Mouth Rehabilitation Fix? 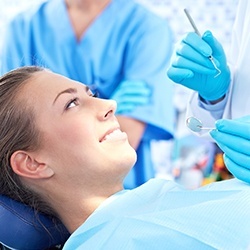 The restoration involved in rehabilitative dentistry may involve a multi-disciplined approach that not only utilizes Dr. DeAngelo’s skills as a restorative dentist, but can also include working with other specialists near Homer Glen, such as an oral maxillofacial surgeon, an orthodontist, or an endodontist. We want your full-mouth rehabilitation to fully repair your smile. What Services Are Performed During Full-Mouth Rehabilitation? Just like every smile is different and unique, so are full-mouth rehabilitation treatment plans! The services that Dr. DeAngelo may recommend will depend on your mouth’s and jaw’s needs, so you’ll need to come to our Homer Glen office for an initial consultation. Our compassionate team will be happy to answer your questions. Don't live with a broken, worn, or decaying smile. Discover a new outlook on life and improved health through full-mouth rehabilitation at the Homer Glen dentist office of Dr. Alan R. DeAngelo. Call today to schedule your full-mouth rehabilitation appointment. 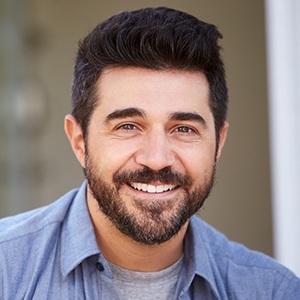 Dr. DeAngelo heals many smiles with full-mouth rehabilitation, and regularly sees patients from Homer Glen, Orland Park, Lockport, Lemont, and nearby Illinois towns. If you would like to learn more about different services that may be involved in your full-mouth rehabilitation, click here. Dr. DeAngelo and our Homer Glen team look forward to relieving your pain and rebuilding your beautiful smile with full-mouth rehabilitation.